The apps and Android games are designed to run on mobile devices. But nothing prevents you from installing them on your Windows PC, thanks to the many Android emulators that exist. In this tutorial, we are going to teach you to use one of the most popular, Remix OS Player. 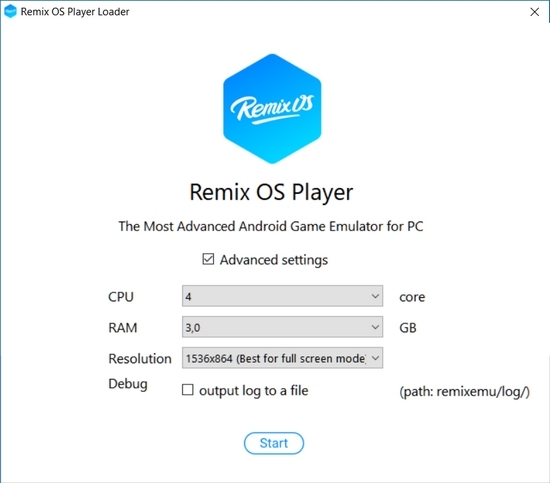 Remix Os Player is an Android emulator based on the Android-x86 code, an open source project that allows you to install Android on a Windows PC. 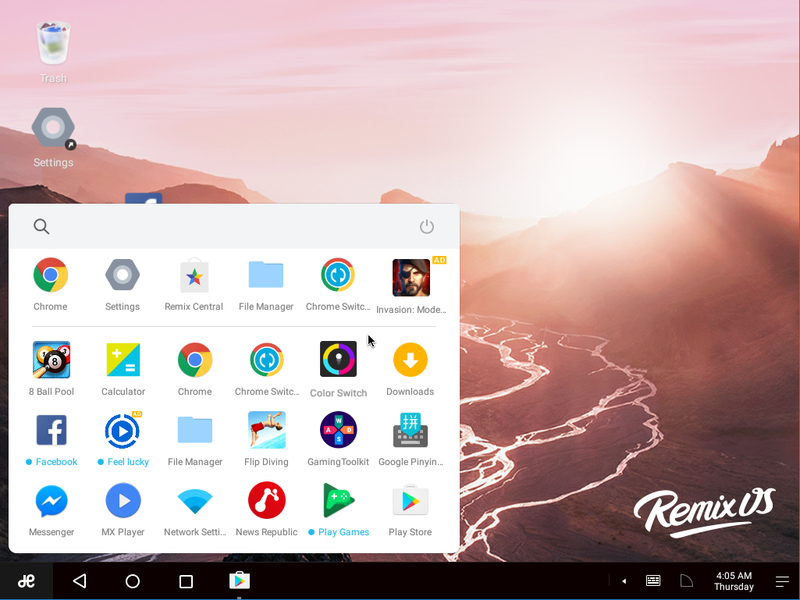 The creators of Remix OS Player have announced that they will no longer be updated, but they continue to offer to download and it continues to work perfectly, so it is worth trying before it disappears. Remix OS Player is optimised to run games but also works with all kinds of apps. It can be installed on a USB drive and runs directly from here. It installs as a plus Windows program, and you can even launch several games at the same time. It accepts multiplayer mode, has keyboard and mouse support (you can even reassign keys) and it is possible to access without restrictions to Google Play to download what you want. Start by downloading Remix OS Player from its official website. We recommend using the executable version because it does not need to be installed in dual mode to boot with Remix OS instead of Windows 10. With the executable version, it is installed as a Windows application. So download the.EXE file and double-click on it when you have it on your computer. You will have to choose the hard disk and the installation folder. When you finish enter that folder and double-click REMIXOSPLAYER.EXE to start the emulation. Click on the Start button to start Android emulation. Choose the language and have patience until you load the system, it may take one or two minutes. How to use Remix OS Player? Remix OS Player opens in a window that takes control of the mouse. This means you can not use it outside the window while the emulator is running. If you need to do this, simply press the CTRL and ALT keys at the same time to use the mouse with other applications. The first thing to do is to tap the Settings icon and look for the Languages option. Choose language as per your requirement. 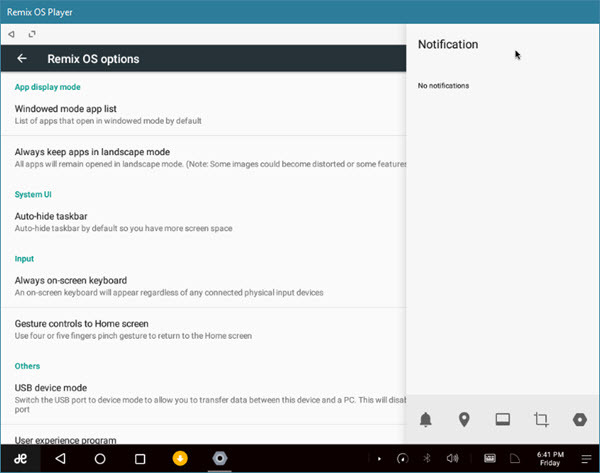 The rest of the options are the same that you can configure in any smartphone or tablet with Android 6.0. Set them as per your requirement. Use the File Manager icon to access the files you have download or generate during the use of the application (photos, videos, documents, etc.). On the home screen you will see the Remix Central icon. 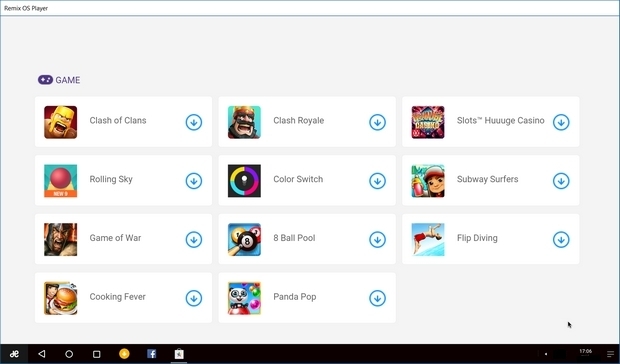 It’s a selection of games and apps that Remix OS has selected because it has proven to work well with the emulator. There are games like Clash Royale, Clash of Clans or Cooking Fever, but also apps like Microsoft Word, Excel, Google Drive, Spotify, Netflix, WhatsApp, and many more. Simply click on one of these apps to install and launch it. Keep in mind that in order to update the previous apps you need to activate the Google Play store on your computer, so do it before installing apps. We will show you how to do it. The Android Remix OS Player emulator is compatible with all Android apps. To download, you need to activate the Google Play store on your computer. Click on the icon in the lower left corner of the desktop, which is H- shaped, and tap the Play Activator icon. Click Yes, Let’s Activate! And enter a Google Account to access the Play Store. And that’s it! From now on, you can install, update and use any Android app on a Windows PC, without any limitations, using the keyboard and mouse. Test it. It will surprise you! If you have any queries regarding the Remix OS player, let us know in the below comment section. We will get back to you to solve all your queries as soon as possible. If you know any other best Android emulators then write them to us through our Contact Us page or through the comments below. We will test it and include it on our list in the next article update. 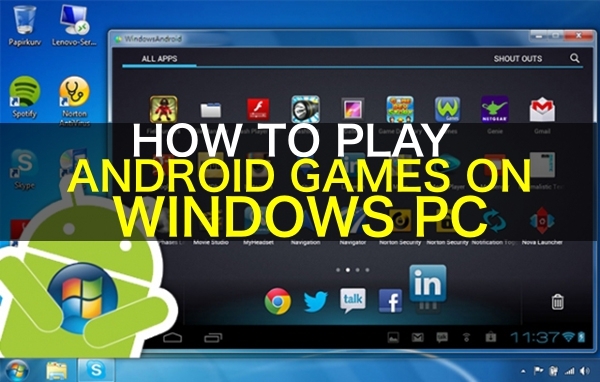 Which Android Emulator do you use to play Android Games on Windows PC? Well explained. But please help me how should I play Play Station games on Lenovo Phab. Thank you for visiting our website. We will do good research regarding your query of playing PlayStation games on Lenovo Phab and will come up with a detailed article. Keep visiting our website for more updates.